HOLLYWOOD, Calif., Oct. 8 /PRNewswire/ -- Following the worldwide release of eight remastered John Lennon studio albums and several new collections on October 5 (October 4 internationally), Yoko Ono and EMI Music have partnered with YouTube for exciting global tributes honoring the music legend on the occasion of his 70th birthday (October 9). YouTube will honor John Lennon with a homepage spotlight starting at 9pm PT on Friday, October 8th and staying active for 24 hours. The spotlight will include a personal video from Yoko Ono, asking people around the world to submit videotaped tributes to John Lennon at www.youtube.com/johnlennon. Video testimonials from many of Lennon's famous friends and fans, including Ringo Starr, Brian Wilson, Aerosmith, the Jonas Brothers, Jeff Bridges, Tony Hawk, Bret Michaels, DMC (Run-DMC), Brandon Boyd (Incubus), Bill Walton, and others, will also be included in YouTube's homepage spotlight. 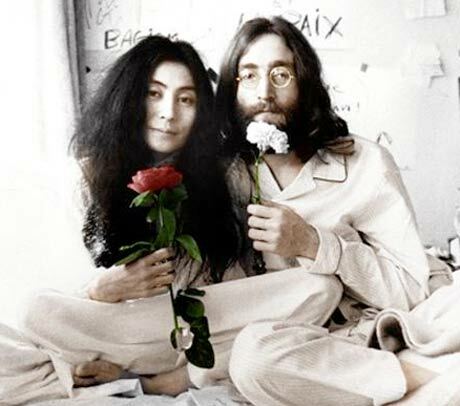 "I hope you'll join me and a family of peace around the world to celebrate this very special day," said Yoko Ono. "Send in your own video tribute to YouTube, and we will share in keeping John's memory alive." YouTube has also created a global Yoodle of the YouTube logo, to be launched in 25 countries at 9pm PT on Friday, October 8th and to remain live for 24 hours. The Yoodle will be synced to cover Lennon's October 9th birthday in all regions. Google has created its first-ever video doodle, which presents sketched animation featuring John Lennon's self-portrait set to an audio clip of Lennon's iconic song, "Imagine." It was created by Google doodler, Mike Dutton, with Yoko Ono's approval. The Google doodle will be live on Google homepages all over the world starting noon on Friday, October 8th and all day Saturday, October 9th until midnight. EMI Music's global John Lennon 'Gimme Some Truth' catalogue campaign, overseen by Yoko Ono, commemorates the music legend's 70th birthday. 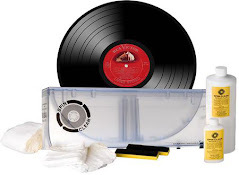 Featured in the sweeping initiative are eight remastered John Lennon solo albums and new titles including Double Fantasy Stripped Down, Power To The People: The Hits, Gimme Some Truth, and the John Lennon Signature Box. For the first time, Lennon's classic solo albums and other standout recordings have been digitally remastered from his original mixes. Double Fantasy, 1980's GRAMMY Award winner for Album of the Year, is presented with a newly remixed 'Stripped Down' version produced by Yoko Ono and Jack Douglas, Lennon's original co-producers for the album. Some Time In New York City has been restored to include the six 'Live Jam' recordings featured on the original album. The deluxe 11CD and digital John Lennon Signature Box includes 13 previously unreleased home recordings, and Yoko Ono, Sean Lennon, and Julian Lennon have each written personal essays for the lavish collection. Pink's Greatest Hits CD Cover Released! The album art for Pink’s upcoming album, 'Greatest Hits… So Far!!!' has been released. The CD is a collection of her hit songs along with new single, “Raise Your Glass” produced by Max Martin and co-written by Pink. Expect such Pink classics as “Get the Party Started,” “Don’t Let Me Get Me,” “Just Like a Pill,” “Trouble,” “Who Knew,” “U + Ur Hand” and “Dear Mr. President,” on the album, which hits stores on November 16! "The Progenitor's Grasp", a brand new song from Atlanta's blackened doom heathens WITHERED, is now available for download at BrooklynVegan.com. 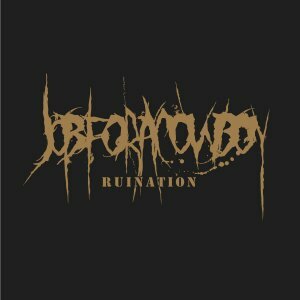 The track comes off the group's new album, 'Dualitas,' which is scheduled for release on October 26 via Prosthetic Records. 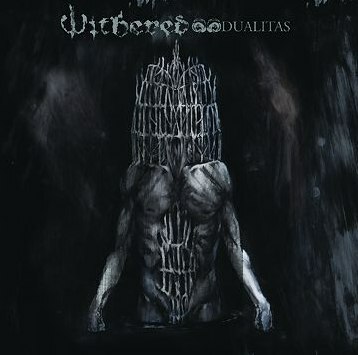 The CD and vinyl versions of "Dualitas" will have different covers, both of which were created by Paul Romano (MASTODON, TRIVIUM, THE ACACIA STRAIN), who also did the cover for WITHERED's previous LP, "Folie Circulaire". 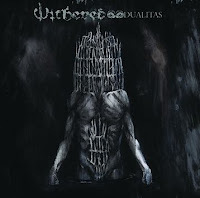 The vinyl version of "Dualitas" will be a 500-piece limited-edition gatefold double-LP set on 150-gram vinyl, which contains the exclusive 33-minute instrumental track "Dwell." Former NASA astronaut Bruce McCandless is suing pop singer Dido for what he said is an unauthorized use of a photo of his 1984 space flight for an album cover. In a suit filed Sept. 30 in federal court in Los Angeles, his claim is that he never gave permission for Dido to use the photograph that shows him “free flying” about 320 feet away from the space shuttle Challenger. 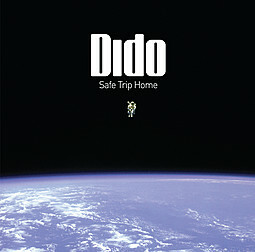 The photograph was used on the cover of Dido’s 2008 album “Safe Trip Home.” The suit doesn’t allege copyright infringement, only infringement of his persona. The lawsuit, which seeks unspecified damages, also names Sony Corp.’s Sony Music Entertainment and Getty Images Inc. as defendants. McCandless said in the complaint that Sony was informed as early as June of last year that the use of his image was unauthorized. The 1984 photograph was taken when McCandless tested the so-called manned maneuvering unit, a nitrogen jet propelled backpack, according to the complaint. The photograph taken by the shuttle’s co-pilot shows McCandless floating in the distance against a backdrop of black outer space and the earth’s blue atmosphere. Liz Young, a spokeswoman for Sony Music Entertainment, declined to comment on the lawsuit, as did Jodi Einhorn, a spokeswoman for Getty Images, who also had no comment. 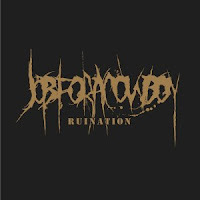 Pantera "Cowboys From Hell: The Demos"
Job For A Cowboy The “RUINATION” COLLECTORS EDITION 10 INCH VINYL BOX SET will include Job For A Cowboy’s latest Metal Blade Records release “Ruination” split on two separate colored 10" vinyl. The third record (also colored) contains rare and unreleased live material as well and some cover cuts. Only 750 made of this Metal Club exclusive! It's being reported that a Black Sabbath box set of the Ozzy era will be released on Nov. 15. 'The Ozzy Years -- Complete Albums Box Set' collects all nine of the Ozzy-era Sabbath records. Fittingly, the collection will be enclosed in a black cross with a 100-page illustrated discography featuring rare covers from all over the world. The limited-edition package also includes three radio documentaries, a guitar pick set and a poster. Sonic Youth's Thurston Moore has just announced the details of an upcoming combined vinyl and book release. Called 'In Silver Rain With A Paper Key,' the hardcover book contains two seven-inch vinyl records and a collection of art, photographs, lyrics and poetry from Moore's personal notebooks and visual archives. The vinyl records feature new songs in the form of 'You've Lost Your Lover', 'Circulation' and 'Blood', which were recorded in Massachusetts on a 12-string acoustic guitar, reports TwentyFourBit.com. The set will be released through the frontman's own publishing company Ecstatic Peace Library on December 1. BURBANK, CA--(Marketwire - October 8, 2010) - Sire Records is proud to announce that Everything In Transit, the debut album from Jack's Mannequin, will be re-issued for the first time since its original August 2005 release beginning today. The recording is being re-issued on vinyl with new artwork and sequencing, and will feature two new songs -- an a cappella version of "Holiday" and "La La Lie (West Coast Winter version)." Those who pre-order will receive a copy signed by Jack's Mannequin frontman Andrew McMahon. 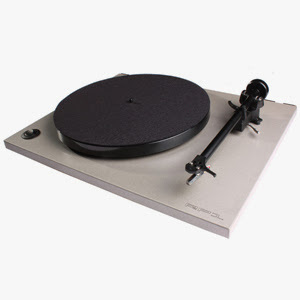 The pre-order begins at online vinyl retailer http://www.becausesoundmatters.com/ on October 7th, with albums arriving on the street date of December 7th. George Bellamy - Tornadoes (1940) Their 1962 UK & US #1 single "Telstar" was the first major hit from a UK act on the American chart. Born on this day in 1948, Johnny Ramone, guitar, The Ramones, (John Cummings). Died of prostate cancer on September 15, 2004. The show "Lawrence Welk’s Top Tunes and New Talent" made their debut in 1956. Jerry Lee Lewis recorded the immortal song "Great Balls Of Fire" in 1957. In 1962, Little Richard began what he thought was a 'gospel music' tour of England, however, Sam Cooke convinced him to retuen to singing rock and roll. Working at Abbey Road studios in London in 1964, the Beatles recorded their next single "She's a Woman" in seven takes plus overdubs, recording the song from start to finish in five hours. In 1966, Cream drummer Ginger Baker collapsed during a gig at Sussex University, England after playing a 20 minute drum solo. He recovered in a local hospital. Cass Elliot debuted as a solo act in Las Vegas, NV in 1968. She cancelled the two-week gig after one show because of tonsillitis and lack of rehearsal. John Lennon recorded the signature song of his solo career, “Imagine” in 1971. Billy Joel released his album "The Stranger" in 1977. One half of TV cop show "Starsky & Hutch" (Hutch was the blonde), David Soul was at #1 on the UK singles chart in 1977 with "Silver Lady," his second and last UK #1 single. Bob Marley collapsed onstage during a show in Pittsburgh, PA in 1980. It was the last show he would ever perform. He died seven months later of cancer. In 1982, R.E.M. appeared at the Peppermint Lounge, New York City, supported by the Fleshtones. Anne Murray won the Country Music Association’s Album of the Year Award in 1984 for 'A Little Good News.' Murray was the first woman to achieve this award. In 1985, Little Richard was seriously injured in a West Hollywood auto accident (he had fallen asleep at the wheel and hit a telephone pole). In 1987, the three members from ZZ Top made advance bookings for seats on the first passenger flight to the Moon. The boys are still waiting for confirmation of the trip. Also in 1987, Chuck Berry was awarded a star on the Hollywood Walk of Fame. His film biography, Hail, Hail Rock & Roll also premiered on the same night. Def Leppard were at #1 in the US singles chart in 1988 with "Love Bites." In 1988, Pink Floyd's ‘Dark Side Of The Moon’ finally left Billboard's Hot 200 Album Chart after a record breaking 741 weeks. It stayed on the chart longer than any recording in history. “Badmotorfinger” from Soundgarden was released in 1991. The US Postal Service issued a set of commemorative stamps to celebrate pop music legends in 1992. The stamps included Elvis Presley, Bill Haley, Buddy Holly, Otis Redding, Ritchie Valens, Clyde McPhatter and Dinah Washington. "Elvis Aaron Presley - The Tribute" was aired as a pay-per-view special in 1994. In 1996 - Jimmy Chamberlin, formerly of the Smashing Pumpkins, pled guilty to disorderly conduct in connection with the heroin related death of Jonathan Melvin. Christina Aguilera started a four week run at #1 on the US singles chart in 2000 with "Come On Over Baby." In 2003, Paul McCartney and Ringo Starr attended the London premiere of “A Concert For George.” The Harrison tribute was filmed the previous year at the Royal Albert Hall. In 2003, Coldplay singer Chris Martin asked Australian police to drop a charge of malicious damage after allegedly attacking a photographer's car. Martin was charged in July after breaking a windscreen with a rock after being photographed surfing. Martin did not appear in court at Byron Bay, New South Wales, when his lawyer, Megan Cusack, asked for the charge to be dropped. Genius: A Night For Ray Charles concert took place at the Staples Center in L.A in 2004. Hosted by actor Jamie Foxx, who played Charles in a bio film, the show had performances by Elton John, Stevie Wonder, Norah Jones, B.B. King, Al Green and Billy Preston. The concert aired a couple weeks later on CBS. Charles passed away earlier in the year. In 2007, Arctic Monkeys were named the best act in the world at this year’s Q Awards held in London. Best album went to Amy Winehouse's Back to Black and Muse won Best live act. Manic Street Preachers won the award for the year's top track for ‘Your Love Alone is Not Enough’ and ‘Ruby’ by the Kaiser Chiefs won best video. Top breakthrough artist was Kate Nash, The icon of the year went to Sir Paul McCartney, Kylie Minogue was named idol of 2007, former Blur frontman Damon Albarn took the prize for inspiration, Classic songwriter award went to Billy Bragg, Innovation in sound award Sigur Ros and Lifetime achievement award went to Johnny Marr. The late Tony Wilson, founder of Manchester's Factory Records was named Q's hero.